It was a larger than normal crowd in the graveyard. What was normally a quiet time for Mike and Tanta had blossomed into a full family event (living and dead) and the spread of food and drink covered more than a few graves. People were laughing but respectful as they talked of old times and poured a bit out for those who could not raise their own glasses. “So they convinced you to come teach a few steps?” Mike asked with a grin. “Boy, you juss drive yer Bus. I gots others to watch my back when we is on the ground.” She looked over to Free and nodded. “La, see? You has nuthin to worry about except starvin, Eat more, I make this all up special.” Tanta shoved a bowl of gumbo towards him and he dutifully took some. Free rose silently, as did everyone else present. Tanta, seated on the grave like a queen on her throne looked about at all the serious and worried faces and snuffled back a tear. “Why you leave politicking, Eme? You so damn good at it. I knows what you is saying and I will listen to those worth listenin to.” She smiled up at Free. She was about to make a joke until she looked into his eves and saw the pain. Silently she nodded. There was a quiet moment then Mike grinned and scooped up the gumbo and set to serving other small parties. The celebration of life and death continued as it always had and probably always would. Old ways, they die hard. No real lesson here. I am trying out some new things like running abyssal sites to make a bit of isk. I thank https://www.alpha-orbital.com/news/abyssal-solo-worm-fit for that. Good advice and a good ship fit goes a very long way. I also am streaming on caffeine the runs, now and again, I usually tweet when I am doing that and include a link. Feel free to follow me on twitter @mikeazariah *could probably grab the link for above as well. But I have been lax and so comments to this post will be entered in a draw for a Worm. Damn nice little ship. 1 week or so before I make the draw. 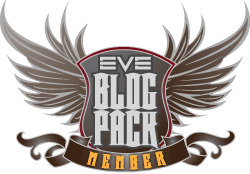 This entry was posted in Uncategorized and tagged draw, eve online, Free, In character, Mike, Tanta. Bookmark the permalink. What times of day are you being in local over the 12 days? Hey Mike, Did you manage to get snail-mail Card off to CCP this year? You usually post a reminder with the address. Card is on my desk, here. With a local postal strike up until a couple of days ago . . .